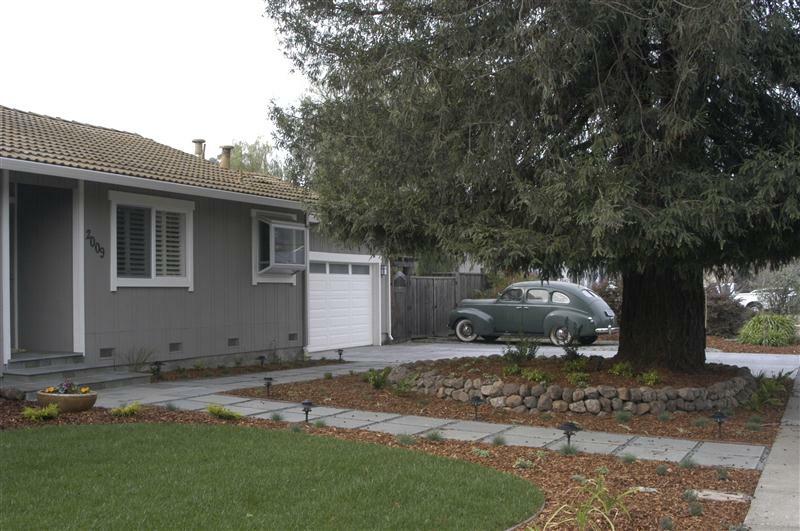 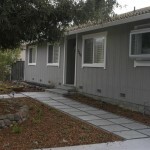 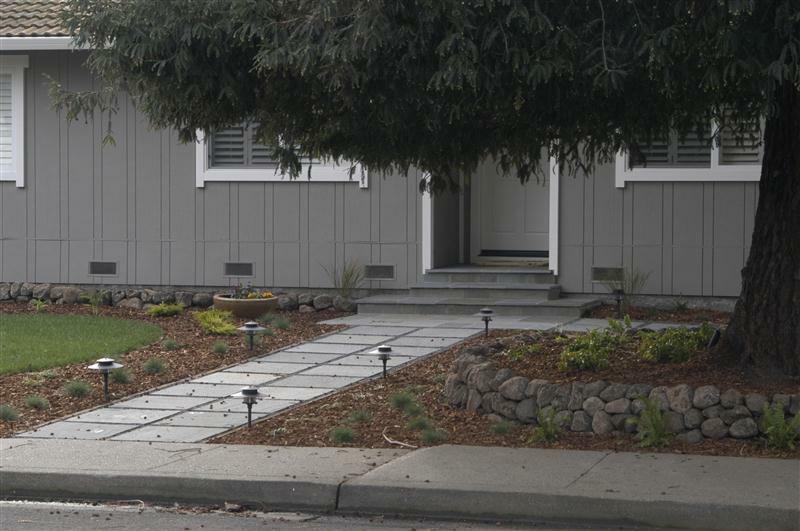 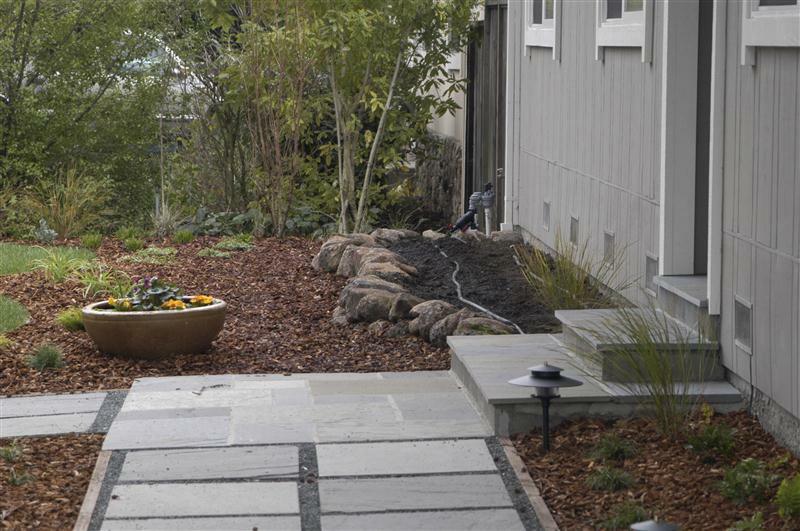 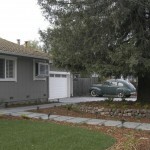 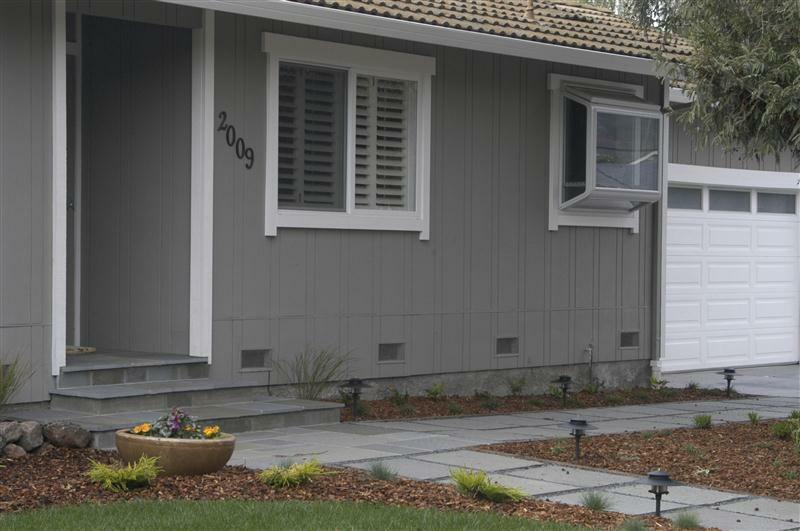 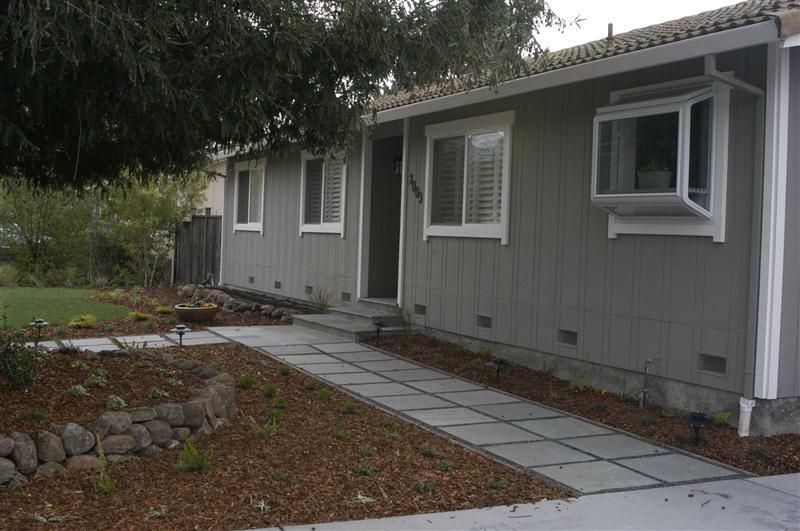 We finished this project this past winter to makeover the front yard of this Novato home. 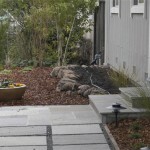 The design incorporated two bluestone pathways to a front landing that was surfaced with solid bluestone. 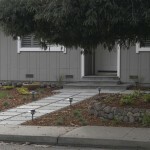 Around a large existing redwood a dry laid wall was built, with another at the front of the house for a raised planter.